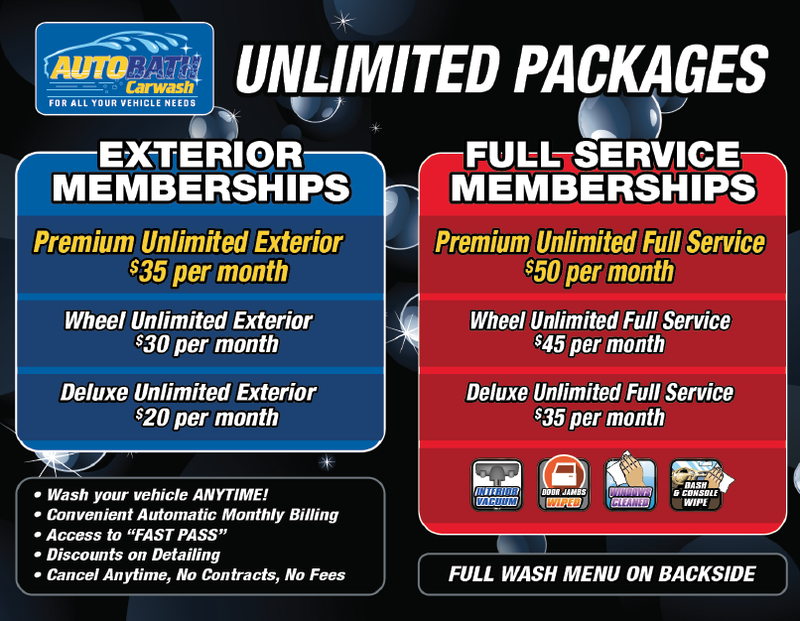 Autobath Carwash is your complete stop for all of your vehicle cleaning needs. 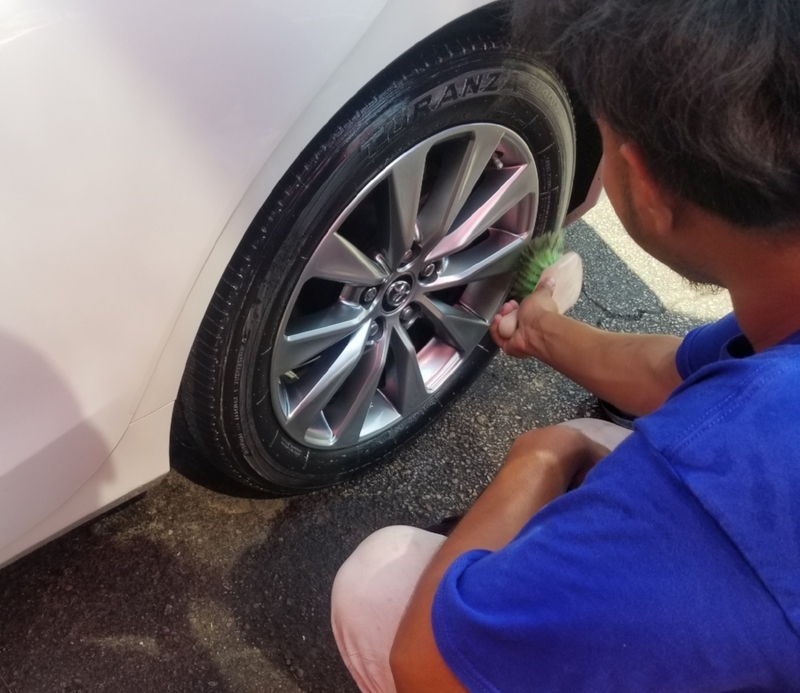 We specialize in full service car washes and interior and exterior detailing, but also have exterior only washes with free self vacuums available. Full Service car washes come with, interior vacuuming, exterior towel dry, door jambs wiped, window cleaning, and dust and wiping of dash, console and cup holders. 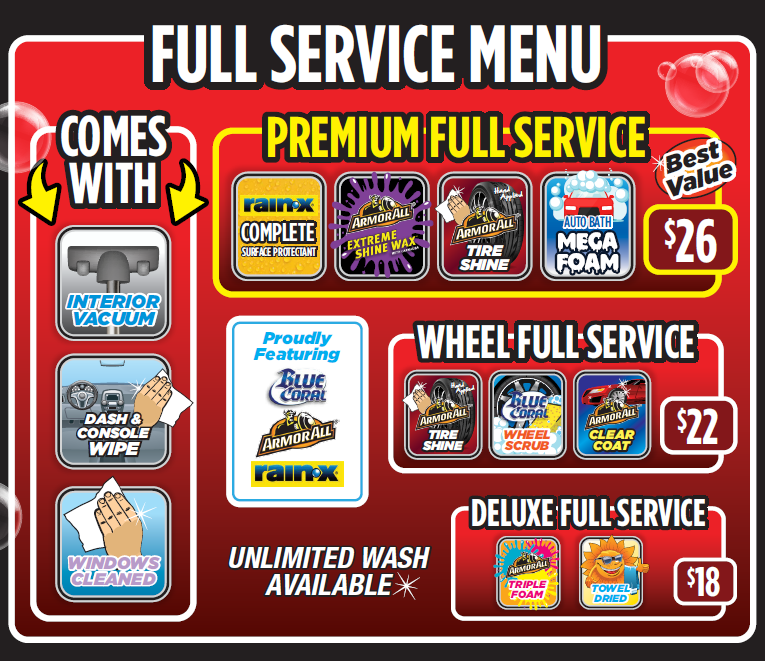 Most full service carwashes take less than 30 minutes to finish from start to finish. Unlike other express tunnel washes most of our exterior washes come with towel drying and hand applied tireshine and wheel cleaning. Also available are window cleaner, compressed air and towels for our customers to use. We also use the best tunnel chemicals in the industry, ZEP Vehicle Care, to ensure you have the cleanest and brightest vehicle, with familiar brands such as Rain-X and Armoral Extreme Shine Wax.